If you read our recent Freedome review, you know the reasons you might want to utilize a VPN (Virtual Private Network): privacy and spoofing your location. Freedome proved good at both, but VyprVPN from Golden Frog is in another class when it comes to location spoofing, with servers in 38 separate countries, including a small-fry like Luxemburg (sorry, Luxemburgers...). 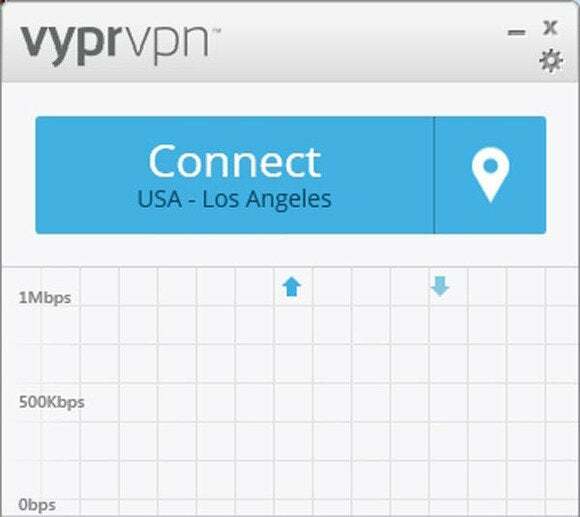 You can pretend you’re from almost anywhere with VyprVPN. A VPN service works by directing all Internet traffic from your PC through a server in a remote location. Data is encrypted at your PC and decrypted at the server, which then handles the data transfers as if they were its own. As far as anyone knows, you are the relay server. To see this in action, install a VPN service trial, then browse to whatismyip.org or whatismyip.com. The IP address you see will be the server’s. Turn off the VPN service, refresh the page, and you’ll see your real IP. 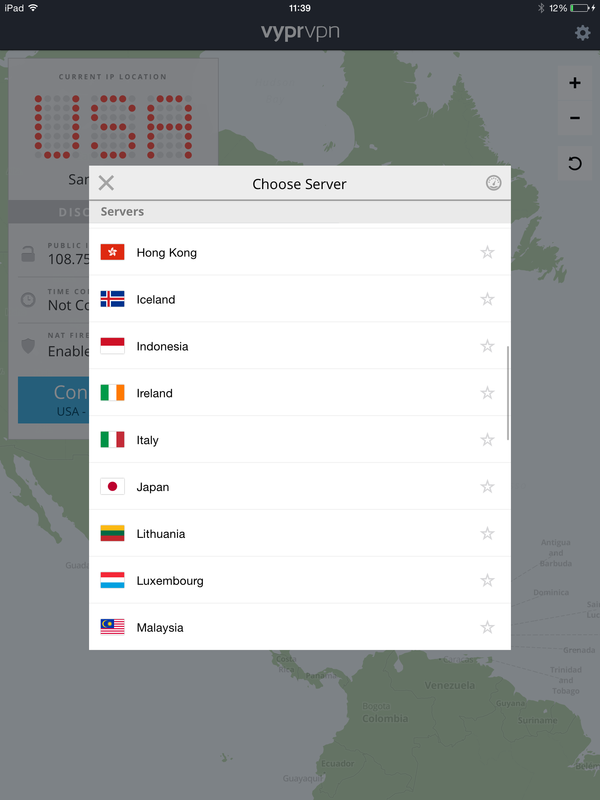 With the iOS client, you can choose VyprVPN servers from a map or list. Golden Frog claims VyprVPN is the world’s fastest VPN. There’s no practical way for me to prove or disprove that; any VPN’s speed is highly dependent upon your proximity to a server as well as the infrastructure in between. That said, VyprVPN’s performance was generally quite good, with a minimal dropoff in speed when I was connected to the server in Los Angeles (I’m in San Francisco). Initially the Windows client indicated that I couldn’t connect to Australia, Romania, or Lithuania. In actuality, the service was connecting and I could surf, but the Windows client simply wasn’t displaying the connect message. An update cured that. Connection speeds varied quite a bit as I worked my way around the world, but I could still surf reasonably well from just about any VyprVPN server, and streaming video was doable in most cases. On the other hand, you’re definitely better off using the closest possible server for large downloads—the rule for VPN services in general, not just VyprVPN. VyprVPN has servers is such out-of-the way locations as Iceland. Notice the Icelandic IP address. VyprVPN provides software clients for Windows, OS X, as well as iOS and Android. I liked the iOS client better than Freedome’s because it’s a one-time install and the service may be turned on and off using the normal iOS VPN switch as well as the client app. Freedome (at the time of my review) loaded a new profile for each server and could only be switched off via the client. You choose your VyprVPM server using the client app, which includes a map and the current latency in milliseconds for each server. VyprVPN is a great service, but it’s not particularly cheap for single users: $10 a month or $80 a year for one unlimited PPTP connection. However, add more connections and they’re less expensive as well as more versatile: $15 a month or $100 a year for two simultaneous connections (PPTP, OpenVPN, L2TP/IPsec, or Chameleon), and $20 a month or $120 a year for three connections (any protocol). Obviously, paying by the year is a smart move if you need the service continually. My VyprVPN experience was smooth. Smooth, as in everything worked as advertised and I enjoyed it. 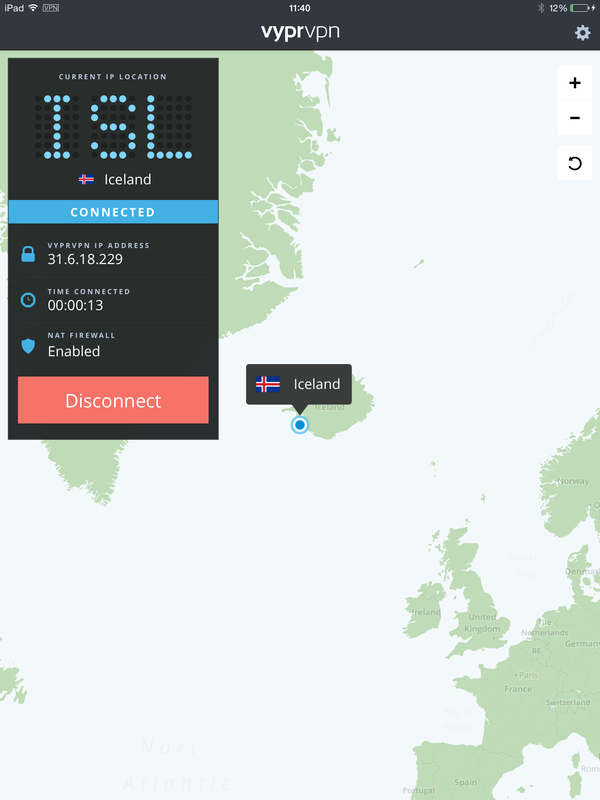 I can’t say its claim as the fastest VPN is true, but it certainly kept up with Freedome and has the widest variety of international locations of any service I’ve tested. In short, VyprVPN is a good place to start, and probably end, your search for a VPN service. With 38 international servers and client software for the major platforms, VyprVPN has anyone looking for a VPN service covered.